One of the biggest benefits of the Richmond VA home automation work we do at Appalachian Home Technologies always goes unseen… literally. That’s because we use structured wiring to ensure that everything in a client’s home works exactly the way it’s supposed to, without ever being seen by guests. Structured wiring is a feature of remote home security and home theater installation that is often overlooked. But without the right wiring, a lot of things can go wrong (such as lights flickering, high-fidelity audio systems losing power, and wireless networking configurations failing). To ensure that there are no conflicts, power shortages, or fire risks, a careful plan is needed. 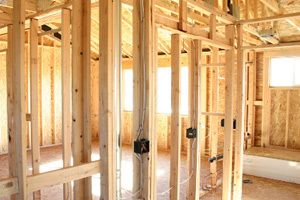 As if the immediate benefits of structured wiring weren’t enough, having the backbone of your home properly organized makes it easier to install future upgrades, as well. So if you envision building a home theater, working with thermostat controls, or just investing in smart homes technology, AHT’s eye for details will pay off. We also don’t want you to forget that structured wiring is a safety feature. While projects like projector installation and HVAC controls upgrades are usually made for efficiency and convenience, you also want to know that loose wires aren’t going to present a danger to you and your family. More often than not, structured wiring is something you don’t notice unless you have a problem with your home. At Appalachian Home Technologies, we plan and work carefully so you’ll never have that happen.